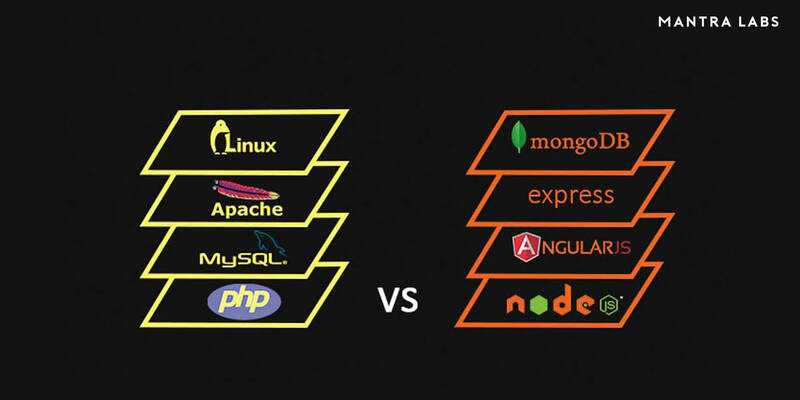 The simplicity of MEAN (MongoDB, ExpressJS, AngularJS, NodeJS) stack is galloping the most popular, free of charge, open source, web development stack LAMP (Linux, Apache, MySQL and PHP, Perl or Python) stack and even Windows is facing a viable threat and adversary. MEAN stack is gaining worldwide popularity and it is begging the question of whether or not this is the end of LAMP? While, simplicity and common structure of MEAN makes your life easier. But one cannot deny that LAMP still holds the most popular choice for web development. LAMP provides an adequate alternative to commercial packages and works as a bundle of software programs that provide the necessary platform to develop and implement web-based applications and servers. LAMP offers one of the most effective and popular ways of developing enterprise level web applications because of its flexibility, customization and cost effectiveness. This debate of which one is better- MEAN or LAMP, has been confusing developers. To get answer to our question, lets us first get to know little bit about both the platforms. In MEAN, MongoDB offers a more flexible, accommodating layer for storing data. Node.js provides a better nexus for running your server, while Express.js helps standardize how you build your websites. On the client and AngularJS provides a clean way of adding interactive functions. Put them all together and they make a clean, coherent mechanism for moving data from user to disk farm and back again. On the other Hand, in LAMP the interaction that is permitted between the end users and the source due to the open source nature of the web development platform can be potentially modified to suit their needs and wishes. The use of PHP and MySQL permit easy coding and permits even novices to build something successfully and get it up and running. The deployment of LAMP web application is very simple as it uses the PHP as a standard APACHE module and uploads the PHP files through a MySQL Database to an APACHE server. While LAMP describes a classic web server stack: Linux as the OS, Apache as the web server, MySQL as the data storage, PHP/Perl/Python as the scripting language for dynamic content. MEAN on the other hand, describes an application stack: MongoDB as the data storage, Express as the server-side application framework, AngularJS as the client-side application framework and Node.js as the server-side language environment (though this one is mostly in the acronym to make it sound cooler — “express” already implies node.js). Below are the details to compare MEAN and LAMP stack, and offer a few tips for optimizing your choices. Performance Horizontal scaling and is not easy and high transaction loads (millions of read-writes) seriously affect performance. MongoDB is very fast, but it achieves its performance by trading off consistency (in clustered setups). Thus, MongoDB is great when you need speed, flexibility in your model and can accept minor and relatively infrequent data loss. Scalability LAMP’s limiting factor is MySQL. It becomes bottleneck when more requests are send- i.e. 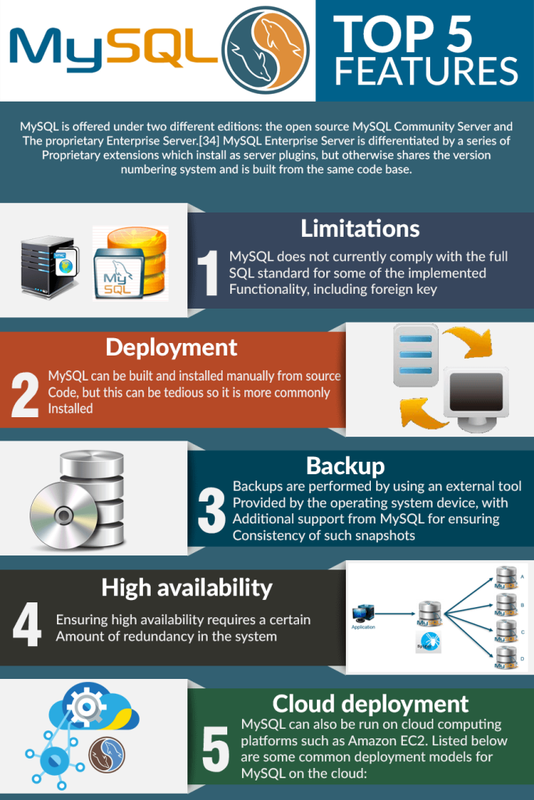 if there is high concurrency MySQL fails to perform. MySQL works better when you have a low write/read ratio, and offers low scalability as the read/write ratio grows. MEAN scales all the layers of frontend, backend and database. MongoDB supports auto sharding and auto failover. When the data on one node exceed threshold, MongoDB automatically rearrange the data to evenly distribute the data. For your application code, a cluster looks just like a single node. Security LAMP is acclaimed as secure and stable platform. MEAN is also Stable and secure Platform. Both the platforms have their role to play. Ultimately the choice to switch to a MEAN stack from LAMP will be based in your organization and the priorities and use-cases for the project under development. We at Mantra Labs have been frequently dealing with this dilemma when clients come to us. Hopefully, this will help clear some of the confusion regarding choice of platforms.